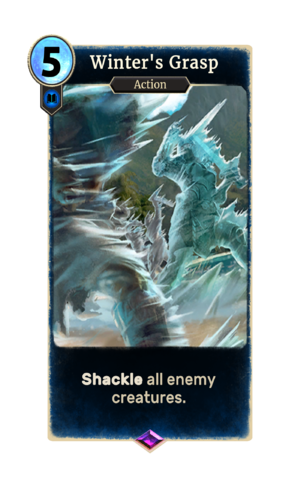 Winter's Grasp is an epic Intelligence action card. It is part of the Core Set. This card was previously part of the training mechanic where it could be upgraded from Winter's Touch at level 42.